Gold's bull market is starting to get warmed up again. The gains ahead in Gold are going to be greater than what we have seen since the secular bull market began at the turn of the century. 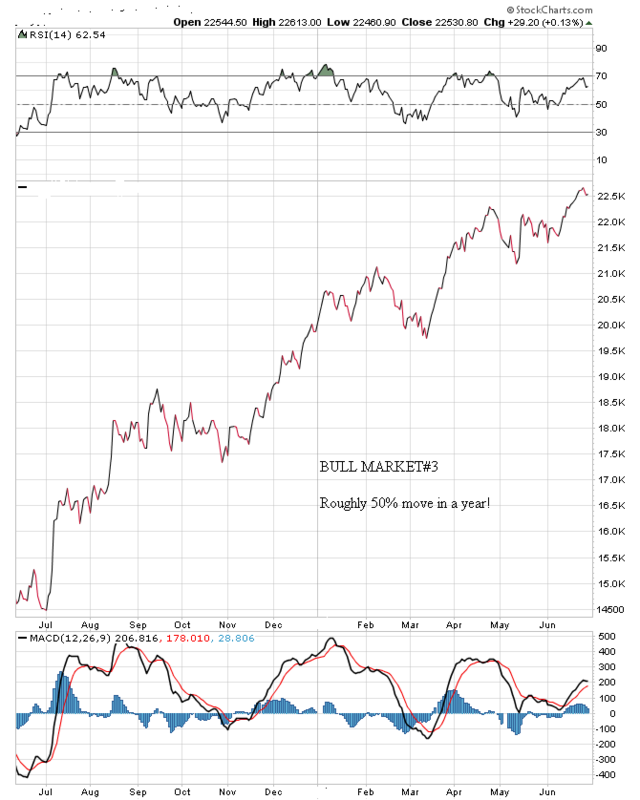 Gold will continue to outperform general stocks, real estate, bonds and most if not all commodities. Paperbugs will hate it, will question Gold every step of the way and will produce vehement rants against the wisdom of investing in Gold during a secular credit contraction/economic depression. People like Nouriel Roubini, who haven't a clue as to why Gold has outperformed the U.S. Dollar since the transient deflationary collapse in late 2008, aren't going away any time soon. Krugman and his ilk will remain the economic philosopher kings of paperland, on that you can be sure. But it is your choice as to whether or not to listen to the siren song of those who claim to be able to create prosperity for all using nothing but magical debt tickets backed by nothing. 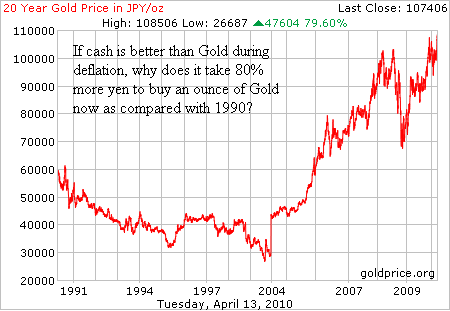 Investing in Gold is in and of itself deflationary. If you put your fiat paper cash into real money and don't make the bankstaz any money, you are the enemy of all that is righteous and holy on Wall Street. You also deprive businesses of capital they need to pursue expansionary-type activities. This then deprives the government of much-needed tax revenues. This is why Gold is the enemy of the state. You can get back at the "powers that be" for screwing over your and your children's financial future and profit handsomely at the same time! 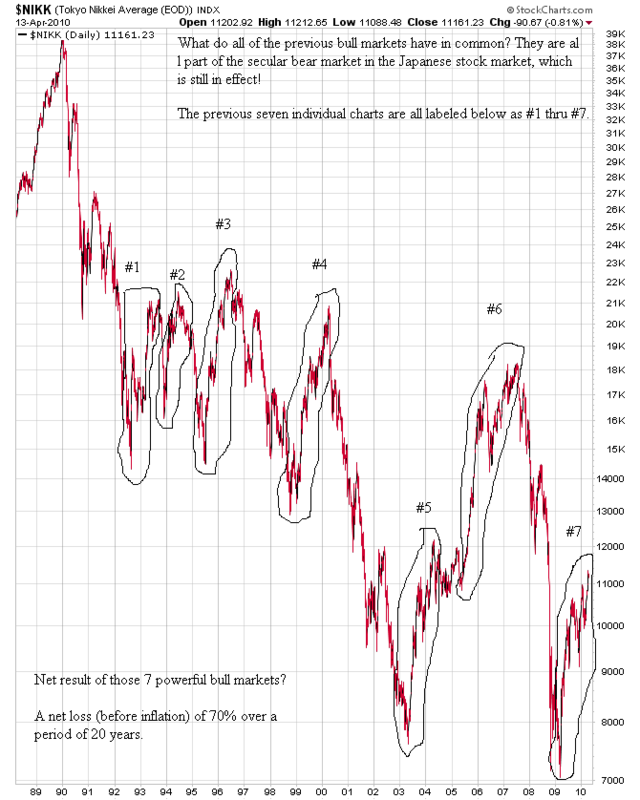 Gold is the vortex of a deflationary spiral once the point of no return has been passed. All other asset classes spin out of control around it, while Gold just sits there looking all shiny and disinterested. For those who point to the Gold price in November of 2008 when disparaging Gold, I point to the Gold price in February of 2009. The smart thing to do is stay in physical Gold, wait for the inevitable financial asset collapse to deepen, then buy good cash-producing financial assets in the rubble for pennies on the dollar. This is the surest and safest way for an investor to grow wealth during an economic depression, if that is your goal (if not, you can always eat your Gold). The U.S. Dollar cannot be the ultimate safe haven that Prechter wants it to be, because it is a flawed irrational instrument and is no longer looked upon as trustworthy by much of the world. I am not saying that the U.S. Dollar can't outperform the stock market or real estate market going forward - it can (no guarantees, though!). But to think the U.S. Dollar or T-Bills will outperform Gold over the next few years is laughable to the point of being absurd. We are not a creditor nation with a Gold backed currency in the midst of a global Gold standard abandonment like in the 1930s. Not even close. Now, I don't want to get bogged down in the semantics of deflation versus inflation. I understand that Japan has been taking on more and more debt in the public sector to offset private credit contraction (sound familiar?). In other words, the Japanese government has been fighting deflation with repeated bouts of fiscal and monetary policy madness in an attempt to stoke inflation. Just as in the 1930s, it didn't work other than to spread the collective pain over 2 decades instead of one or less. 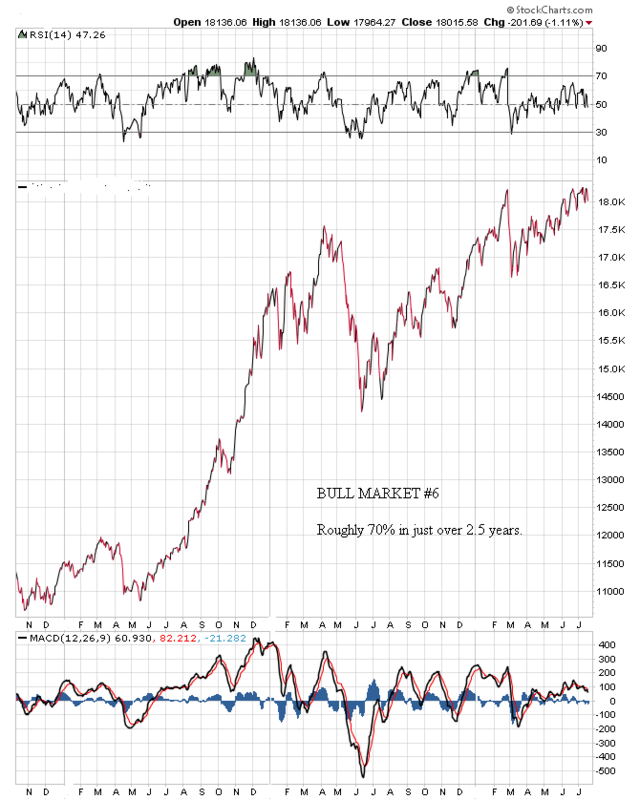 And no, Japan's secular stock bear market is not yet over even after 20 years. 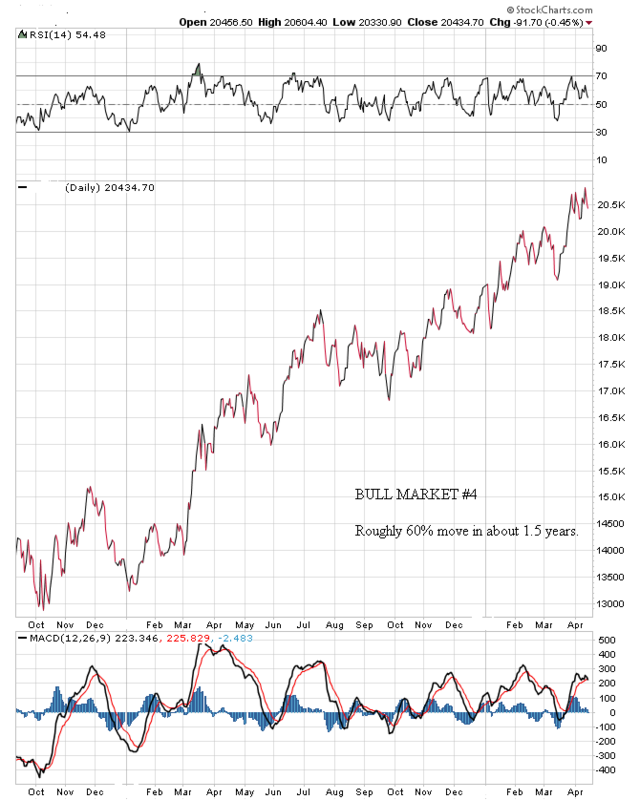 Gold has trounced the U.S. Dollar since the secular stock bear market began in 2000 as well as essentially every other investment class over the past decade and we are set for a repeat decade of Gold bull delight. 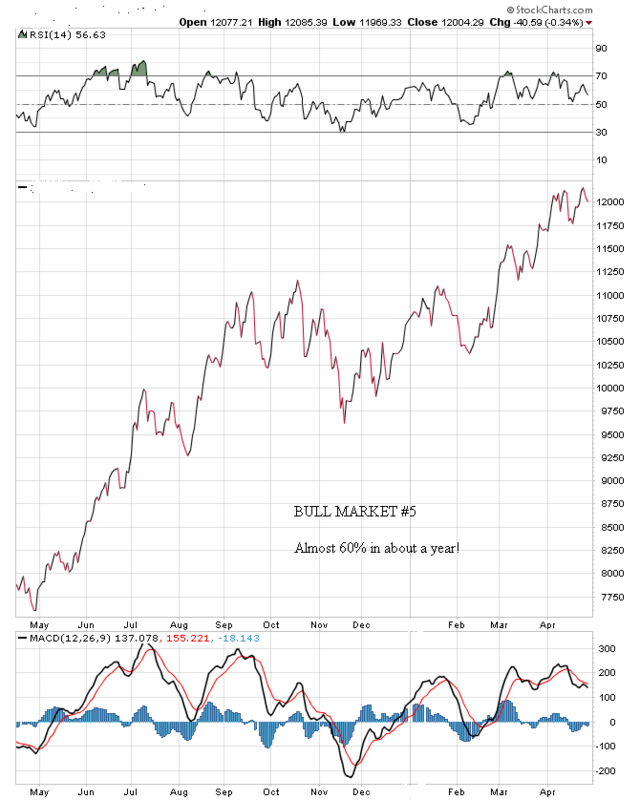 The difference this decade is that the Gold secular bull is now going to enter its' wilder, more volatile phase. 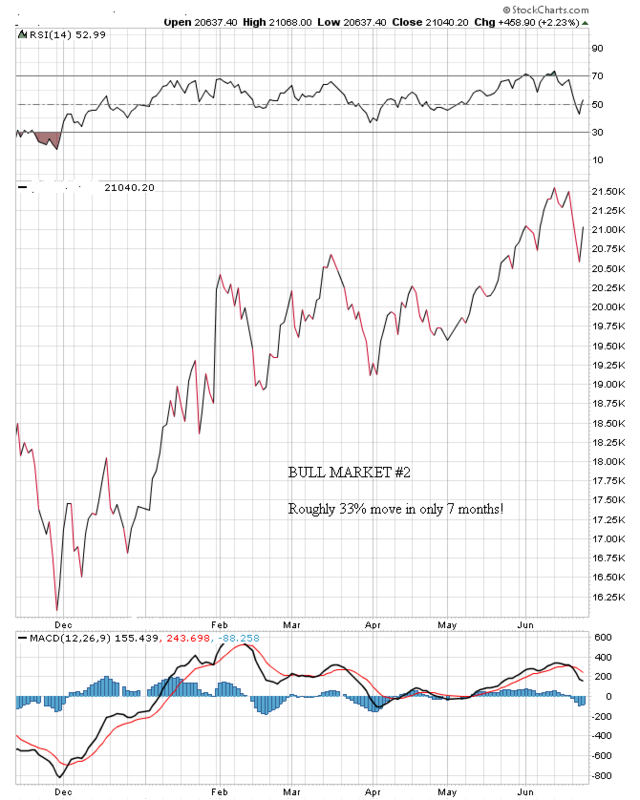 As Bob Hoye has pointed out, bull markets are born stoic and die epicurean. 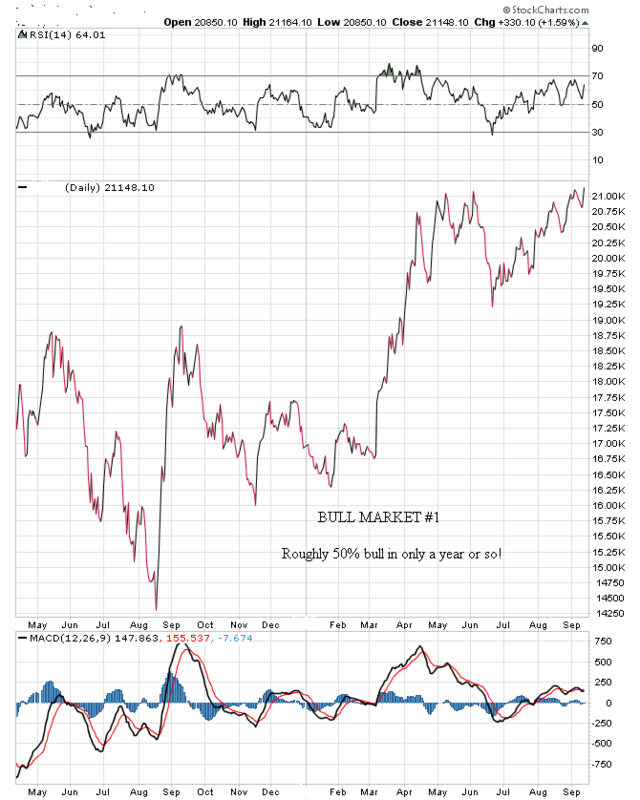 In other words, bull markets end in a much steeper uptrend and rise far above their fundamental value before they collapse upon the weight of the herds' optimism and greed. This remaining Gold uptrend could last 1 year or 10. When it is all said and done, an ounce or two of Gold will buy the entire Dow Jones Industrial Average. And for those who say that Helicopter Ben and widdle Timmy Geithner are going to succeed and that we are headed into a hyperinflationary depression, my only regret in this scenario would be that I own more Gold than silver. Gold is real non-debaseable money and ignorant apparatchiks have no ability to change this fact by decree, though they may sneak in a little tungsten if you're not paying attention. Our wily so-called financial masters of the universe also cannot change a long-term trend once it is set into motion. 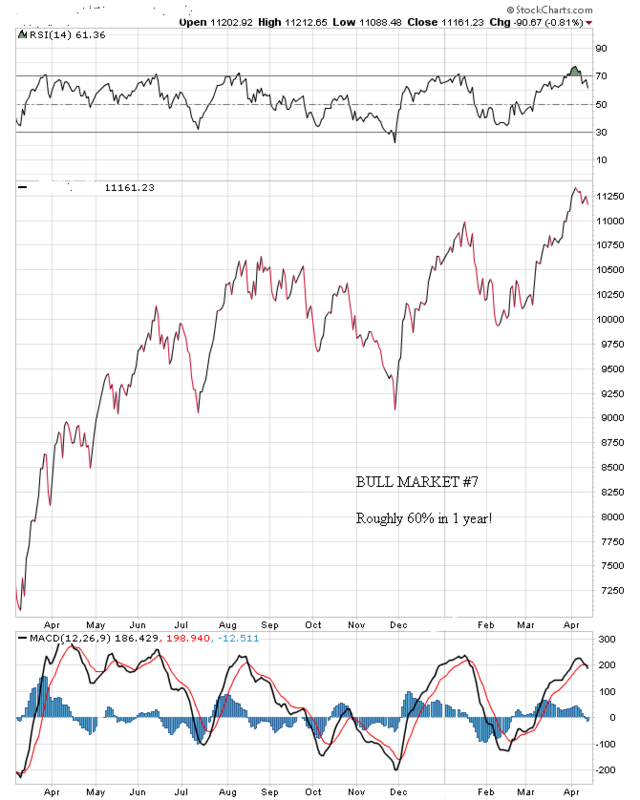 The secular financial pendulum continues to swing away from financial assets and towards Gold. Physical Gold will be money long after the cast of dimwits and thieves who claim to be our leaders are but dust in the wind. And shiny, real cash will continue to be king for conservative investors during this ongoing secular credit contraction. Keep your eyes on the Golden prize.